In November 1881 French inventor Gustave Trouvé demonstrated a working three-wheeled automobile that was powered by electricity. This was at the International Exhibition of Electricity in Paris. An automobile powered by his own four-stroke cycle gasoline engine was built in Mannheim, Germany by Karl Benz in 1885 and granted a patent in January of the following year under the auspices of his major company, Benz & Cie., which was founded in 1883. It was an integral design, without the adaptation of other existing components and including several new technological elements to create a new concept. This is what made it worthy of a patent. He began to sell his production vehicles in 1888. In 1879 Benz was granted a patent for his first engine, which had been designed in 1878. Many of his other inventions made the use of the internal combustion engine feasible for powering a vehicle. His first Motorwagon was built in 1885 and he was awarded the patent for its invention as of his application on January 29, 1886. Benz began promotion of the vehicle on July 3, 1886 and approximately 25 Benz vehicles were sold between 1888 and 1893, when his first four-wheeler was introduced along with a model intended for affordability. They also were powered with four-stroke engines of his own design. Emile Roger of France, already producing Benz engines under license, now added the Benz automobile to his line of products. Because France was more open to the early automobiles, initially more were built and sold in France through Roger than Benz sold in Germany. 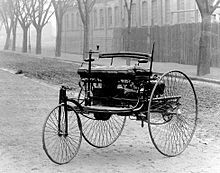 In 1896, Benz designed and patented the first internal-combustion flat engine, called a boxermotor in German. During the last years of the nineteenth century, Benz was the largest automobile company in the world with 572 units produced in 1899 and because of its size, Benz & Cie., became a joint-stock company. Daimler and Maybach founded Daimler Motoren Gesellschaft (Daimler Motor Company, DMG) in Cannstatt in 1890 and under the brand name, Daimler, sold their first automobile in 1892, which was a horse-drawn stagecoach built by another manufacturer, that they retrofitted with an engine of their design. By 1895 about 30 vehicles had been built by Daimler and Maybach, either at the Daimler works or in the Hotel Hermann, where they set up shop after falling out with their backers. Benz and the Maybach and Daimler team seem to have been unaware of each other's early work. They never worked together because by the time of the merger of the two companies, Daimler and Maybach were no longer part of DMG. Karl Benz proposed co-operation between DMG and Benz & Cie. when economic conditions began to deteriorate in Germany following the First World War, but the directors of DMG refused to consider it initially. Negotiations between the two companies resumed several years later when these conditions worsened and, in 1924 they signed an Agreement of Mutual Interest, valid until the year 2000. Both enterprises standardized design, production, purchasing, and sales and they advertised or marketed their automobile models jointly—although keeping their respective brands. On June 28, 1926, Benz & Cie. and DMG finally merged as the Daimler-Benz company, baptizing all of its automobiles Mercedes Benz as a brand honoring the most important model of the DMG automobiles, the Maybach design later referred to as the 1902 Mercedes-35hp, along with the Benz name. 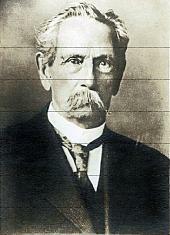 Karl Benz remained a member of the board of directors of Daimler-Benz until his death in 1929 and at times, his two sons participated in the management of the company as well. In 1890, Emile Levassor and Armand Peugeot of France began producing vehicles with Daimler engines and so laid the foundation of the automobile industry in France. The first design for an American automobile with a gasoline internal combustion engine was drawn in 1877 by George Selden of Rochester, New York, who applied for a patent for an automobile in 1879, but the patent application expired because the vehicle was never built and proved to work (a requirement for a patent). After a delay of sixteen years and a series of attachments to his application, on November 5, 1895, Selden was granted a United States patent (U.S. Patent ५४९,१६०) for a two-stroke automobile engine, which hindered, more than encouraged, development of automobiles in the United States. His patent was challenged by Henry Ford and others, and overturned in 1911. In Britain there had been several attempts to build steam cars with varying degrees of success with Thomas Rickett even attempting a production run in 1860. Santler from Malvern is recognized by the Veteran Car Club of Great Britain as having made the first petrol-powered car in the country in 1894 followed by Frederick William Lanchester in 1895 but these were both one-offs. The first production vehicles in Great Britain came from the Daimler Motor Company, a company founded by Harry J. Lawson in 1896 after purchasing the right to use the name of the engines. Lawson's company made its first automobiles in 1897 and they bore the name Daimler. In 1892, German engineer Rudolf Diesel was granted a patent for a "New Rational Combustion Engine". In 1897 he built the first Diesel Engine. Steam-, electric-, and gasoline-powered vehicles competed for decades, with gasoline internal combustion engines achieving dominance in the 1910s. Gasoline engines have the advantage over diesel in being lighter and able to work at higher rotational speeds and they are the usual choice for fitting in high-performance sports cars. Continuous development of gasoline engines for over a hundred years has produced improvements in efficiency and reduced pollution. The carburetor was used on nearly all road car engines until the 1980s but it was long realised better control of the fuel/air mixture could be achieved with fuel injection. Indirect fuel injection was first used in aircraft engines from 1909, in racing car engines from the 1930s, and road cars from the late 1950s. Gasoline Direct Injection (GDI) is now starting to appear in production vehicles such as the 2007 (Mark II) BMW Mini. Exhaust gases are also cleaned up by fitting a catalytic converter into the exhaust system. Clean air legislation in many of the car industries most important markets has made both catalysts and fuel injection virtually universal fittings. Most modern gasoline engines also are capable of running with up to 15% ethanol mixed into the gasoline - older vehicles may have seals and hoses that can be harmed by ethanol. With a small amount of redesign, gasoline-powered vehicles can run on ethanol concentrations as high as 85%. 100% ethanol is used in some parts of the world (such as Brazil), but vehicles must be started on pure gasoline and switched over to ethanol once the engine is running. Most gasoline engined cars can also run on LPG with the addition of an LPG tank for fuel storage and carburetion modifications to add an LPG mixer. LPG produces fewer toxic emissions and is a popular fuel for fork lift trucks that have to operate inside buildings. Ethanol, other alcohol fuels (biobutanol) and biogasoline have widespread use an automotive fuel. Most alcohols have less energy per liter than gasoline and are usually blended with gasoline. Alcohols are used for a variety of reasons - to increase octane, to improve emissions, and as an alternative to petroleum based fuel, since they can be made from agricultural crops. Brazil's ethanol program provides about 20% of the nation's automotive fuel needs, as a result of the mandatory use of E25 blend of gasoline throughout the country, 3 million cars that operate on pure ethanol, and 6 million dual or flexible-fuel vehicles sold since 2003. that run on any mix of ethanol and gasoline. The commercial success of "flex" vehicles, as they are popularly known, have allowed sugarcane based ethanol fuel to achieve a 50% market share of the gasoline market by April 2008. The first electric cars were built around 1832, well before internal combustion powered cars appeared. For a period of time electrics were considered superior due to the silent nature of electric motors compared to the very loud noise of the gasoline engine. This advantage was removed with Hiram Percy Maxim's invention of the muffler in 1897. Thereafter internal combustion powered cars had two critical advantages: 1) long range and 2) high specific energy (far lower weight of petrol fuel versus weight of batteries). The building of battery electric vehicles that could rival internal combustion models had to wait for the introduction of modern semiconductor controls and improved batteries. Because they can deliver a high torque at low revolutions electric cars do not require such a complex drive train and transmission as internal combustion powered cars. Some post-2000 electric car designs such as the Venturi Fétish are able to accelerate from 0-60 mph (96 km/h) in 4.0 seconds with a top speed around 130 mph (210 km/h). Others have a range of 250 miles (400 km) on the EPA highway cycle requiring 3-1/2 hours to completely charge. Equivalent fuel efficiency to internal combustion is not well defined but some press reports give it at around Template:Mpg. Steam power, usually using an oil- or gas-heated boiler, was also in use until the 1930s but had the major disadvantage of being unable to power the car until boiler pressure was available (although the newer models could achieve this in well under a minute). It has the advantage of being able to produce very low emissions as the combustion process can be carefully controlled. Its disadvantages include poor heat efficiency and extensive requirements for electric auxiliaries. A compressed air car is an alternative fuel car that uses a motor powered by compressed air. The car can be powered solely by air, or by air combined (as in a hybrid electric vehicle) with gasoline/diesel/ethanol or electric plant and regenerative braking. Instead of mixing fuel with air and burning it to drive pistons with hot expanding gases; compressed air cars use the expansion of compressed air to drive their pistons. Several prototypes are available already and scheduled for worldwide sale by the end of 2008. Companies releasing this type of car include Tata Motors and Motor Development International (MDI). 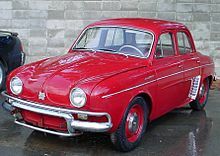 Rotary Wankel engines were introduced into road cars by NSU with the Ro 80 and later were seen in the Citroën GS Birotor and several Mazda models. In spite of their impressive smoothness, poor reliability and fuel economy led to them largely disappearing. Mazda, beginning with the R100 then RX-2, has continued research on these engines, overcoming most of the earlier problems with the RX-7 and RX-8. Mary Ward became one of the first documented automobile fatalities in 1869 in Parsonstown, Ireland and Henry Bliss one of the United State's first pedestrian automobile casualties in 1899 in New York. There are now standard tests for safety in new automobiles, like the EuroNCAP and the US NCAP tests, as well as insurance-backed IIHS tests. Fuel taxes may act as an incentive for the production of more efficient, hence less polluting, car designs (e.g. hybrid vehicles) and the development of alternative fuels. High fuel taxes may provide a strong incentive for consumers to purchase lighter, smaller, more fuel-efficient cars, or to not drive. On average, today's automobiles are about 75 percent recyclable, and using recycled steel helps reduce energy use and pollution. In the United States Congress, federally mandated fuel efficiency standards have been debated regularly, passenger car standards have not risen above the Template:Mpg standard set in 1985. Light truck standards have changed more frequently, and were set at Template:Mpg in 2007. Alternative fuel vehicles are another option that is less polluting than conventional petroleum powered vehicles. ↑ (1976) Pocket Oxford Dictionary. London: Oxford University Press. ISBN 0-19-861113-7. ↑ ६.० ६.१ Setright, L. J. K. (2004). Drive On! : A Social History of the Motor Car. Granta Books. ISBN 1-86207-698-7. ↑ Wakefield, Ernest H. (1994). History of the Electric Automobile. Society of Automotive Engineers, Inc.. ISBN 1-56091-299-5. ↑ ११.० ११.१ ११.२ Georgano, N. (2000). Beaulieu Encyclopedia of the Automobile. London: HMSO. ISBN 1-57958-293-1. ↑ १३.० १३.१ Norbye, Jan (1988). Automotive fuel injection Systems. Haynes Publishing. ISBN 0-85429-755-3. ↑ Inslee, Jay; Bracken Hendricks (2007), Apollo's Fire, Island Press, Washington, D.C., pp. 153-155, 160-161, ISBN 978-1-59726-175-3 . See Chapter 6. Homegrown Energy. ↑ २२.० २२.१ Peden M, Scurfield R, Sleet D et al. (eds.) (2004). World report on road traffic injury prevention. World Health Organization. Retrieved on 2008-06-24. ↑ CityStreets - Bliss plaque. ↑ Insurance Institute for Highway Safety. ↑ John A. Jakle, Keith A. Sculle. (2004). Lots of Parking: Land Use in a Car Culture. ISBN 0-8139-2266-6. ↑ Emission Facts. United States Environmental Protection Agency. ↑ Our Ailing Communities. Metropolis Magazine. ↑ Automobiles and the Environment. 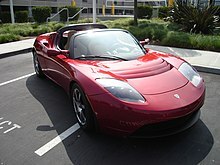 Greenercars.com. ↑ ;CAFE Overview - Frequently Asked Questions. 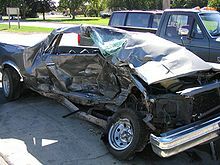 National Highway Traffic Safety Administration. ↑ Flexcar Expands to Philadelphia. Green Car Congress (2007-04-02). ↑ About Bike Share Programs. Tech Bikes MIT. ↑ Jane Holtz Kay (1998). Asphalt Nation: how the automobile took over America, and how we can take it back. ISBN 0-520-21620-2. This page was last edited on ४ सेप्टेम्बर २०१५, at १४:०७.